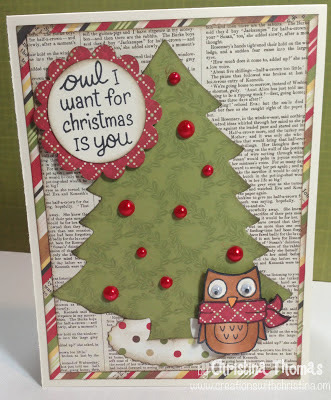 I did do some searching for that Pine Tree die I used but didn't find anyone that I was familiar with to order it from so you may want to google search it (Shapeabilities Pine Tree). The 1-3/8 Circle punch and Spellbinders Shapeabilites Pine trees are no longer available on sites I'm familiar with, you might want to try ebay. this is so cute! Love that little stamp set and have seen it popping up here and there in the blog world! Very cute, Christina! OK you got me. 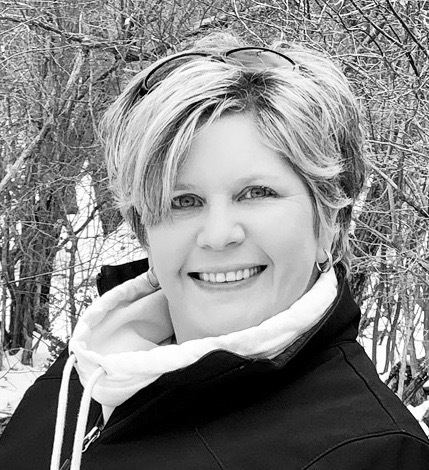 After I get my laundry folded I am headed down to my craft room to work on my Christmas card. I have it designed in my mind so not it is time to see if I can pull it together. Thanks for sharing. Very cute cute card. Thank you for this adorable card. Love the little owl. Have a great weekend, looking forward to your Christmas projects! This is such an adorable card! 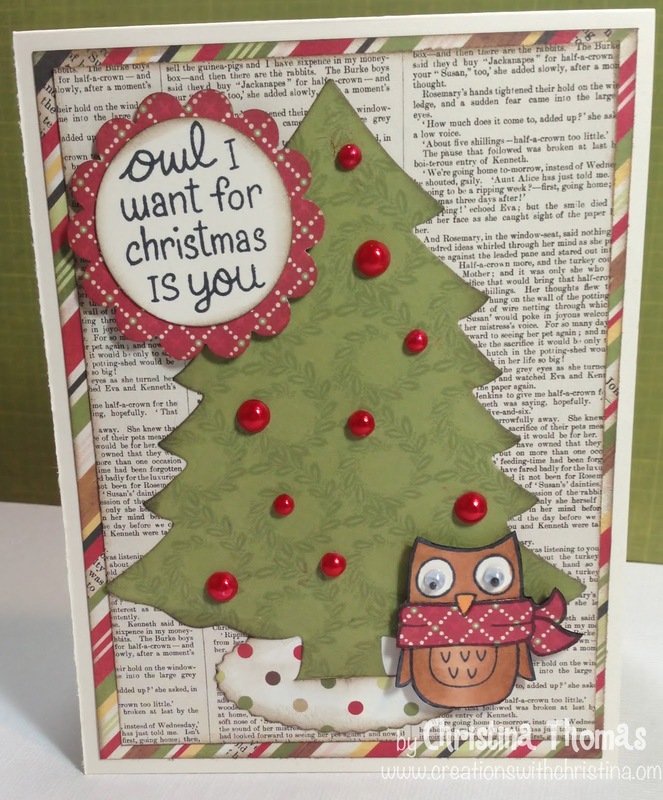 I love the patterned papers you used and love that tree die cut!